WHERE TO USE IT: on Turf, Lawns, and Other Non-Crop Areas such as Parks and Golf Courses and Imported Fire Ants and Pharaoh Ants Indoors In Homes and the Non-Food/Feed Areas of Commercial Buildings, Warehouses, Hotels, Food Storage Areas, Inedible Product Areas of Meat Packing Plants, Motels, Schools, Supermarkets and the Non-Patient Areas of Hospitals and Nursing Homes. LIMITATIONS: Do not use in pastures, rangeland, or croplands. Do not use in the food/feed areas of food/feed handling establishments, restaurants or other areas where food is commercially prepared or processed. RATE OF APPLICATION:Apply after dew or rainfall has dried for maximum effectiveness. For best results, do not apply if rainfall is anticipated within 4 to 6 hours after application. 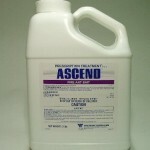 BROADCAST APPLICATION: Apply Ascend as evenly as possible to turf, lawns and noncrop areas at a rate of 1 lb. of bait per acre (0.4oz. of bait per 1000 sq. ft. or 1.8 oz. of bait per 5000 sq. ft.). 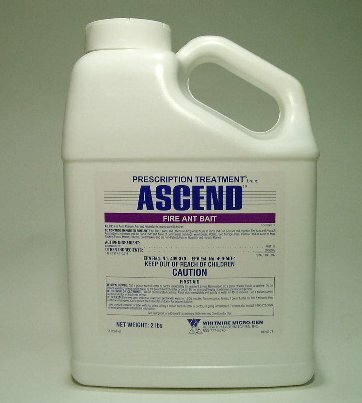 INDIVIDUAL MOUND TREATMENT: Use 5 to 7 tablespoons of Ascend per mound. Apply the bait as evenly as possible over the mound and for a distance of approximately 2 feet out from the base of the mound. Do not contaminate kitchen utensils with this product.